Throughout the UK, and elsewhere, medical schools are focusing more on objective structured clinical examinations (OSCEs) and veering away from old style medical and surgical finals. OSCEs for Medical and Surgical Finals takes a systematic approach to preparing for these new exams, giving you crucial insights into how to score well. Written by junior doctors who recently sat the exams, this book will show you how to predict and prepare for the stations you will face. As it leads you through the cases and the examiners' mark sheets, it teaches you how to pick up every point, with extra tips on how to impress and where to go to add to your practice and experience. For overseas doctors, this book also provides essential preparation for the clinical component of the PLAB exam. 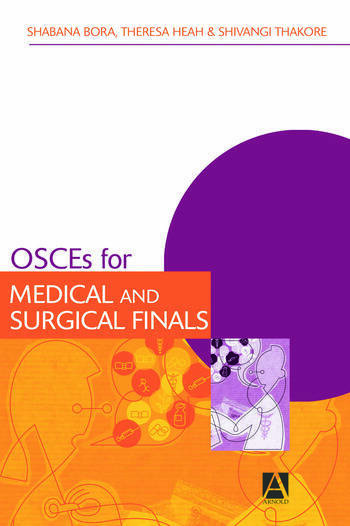 OSCEs for Medical and Surgical Finals is an essential book for all medical students and PLAB candidates.